Keeping journalists up to speed with DYXnet Group’s ongoing success story was the aim when we staged “2018 Bright Winds Lifting Luminous Wings Lunar New Year Media Luncheon” events in Hong Kong, Taipei and Beijing. DYXnet Group CEO and Founder Lap Man (right) and Network Business President Jacky Wan (left) pose for the camera. The hot news was that we hit all our performance targets in 2017, achieved an increase in revenue approximately at 17%, profit at 19% and EBITDA at 20%. More good news for the IT and financial journalists was that DYXnet Group has been achieving double-digit growth for the last seven years – an impressive feat, given turbulent economic conditions in recent years. Jacky Wan (far right) presents an impressive set of results for 2017. Chris Chen (center) outlines plans for 2018. And we continue to attract customers from a wide range of industries such as manufacturing, retail, eSports, real estate, food & beverage and technology. The luncheon events were hosted by CEO and Founder Lap Man and Network Business President Jacky Wan in Hong Kong, Network Business President Jacky in Beijing and Taiwan General Manager Chris Chen in Taipei. Lap Man (right) provides journalists with a comprehensive briefing. Lap Man (center) answers questions over lunch. Jacky (center) shares his business perspective with journalists. 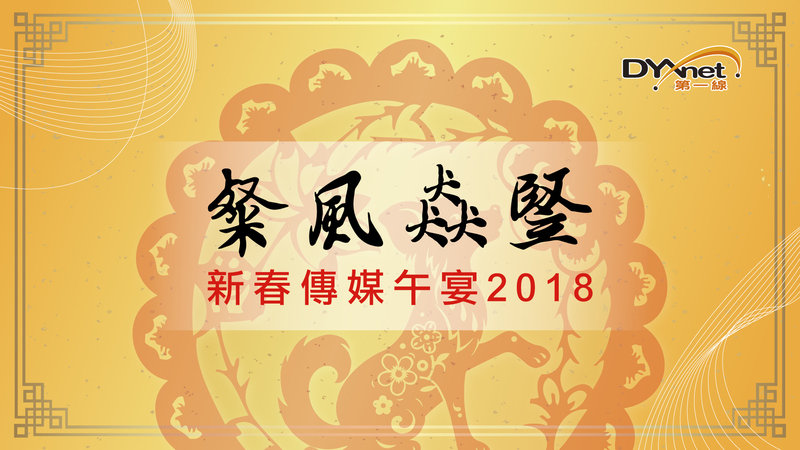 Lap Man presents DYXnet’s 2018 diary and explains the “Bright Winds Lifting Luminous Wings” theme. The media gatherings in late February and early March were told that “Bright Winds Lifting Luminous Wings” has been adopted as DYXnet Group’s theme for the Year of the Dog. The colourful sentiment symbolises how each member of the team will seize opportunities produced by the next wave of technological development and overcome challenges posed by today’s knowledge-based economy. Lap Man concluded, "I believe our theme for 2018 will encourage us to stand firm in our beliefs, attain new heights of accomplishment and create a bright future for our customers, partners and one another."